1 Why Do People Have Panic Attacks? 1.1 What Is A Panic Attack? 1.1.1 So, Why Do People Have Panic Attacks? 4 What Should You Do After An Anxiety Attack? Panic attacks affect millions of people each day. While some are affected by panic attacks on an almost regular basis, others may go through their entire life and say they’ve never experienced a panic attack. How can this be you may wonder? Why do people have panic attacks? Most sufferers probably believe that if they knew “why” they were experiencing these, they’d be able to stop them. A medical definition of a panic attack is when the person suddenly and abruptly experiences a feeling of acute discomfort or intense fear, which is accompanied by many other symptoms. Some of these symptoms may include (but are not limited to) shortness of breath, irregular heartbeats or heart palpitations, tremors, sweating and fear of dying, losing control or literally going crazy. It’s estimated that almost 10 percent of the population have or will experience some sort of panic attack but in only about 5 percent will it develop into a panic attack disorder. People who have never experienced a panic attack usually don’t understand the concern and may even believe they are being over-exaggerated. However, the ones that suffer from panic attacks claim they are the most frightening experience they’ve ever had in their life. So, Why Do People Have Panic Attacks? Even doctors don’t know the exact reason why people suffer from panic attacks. More importantly, they don’t know why some do and other don’t. Stress is one thing that doctors feel can contribute to a panic attack. While we all have stress at some time in our life, when it builds it can cause panic in an individual. This panic may completely come out of the blue and manifest itself as panic attack. You’ve all heard that saying, “stress can kill you”. It can definitely cause a panic attack! Genetics play a part in our ability to deal with stress as well as panic attacks, making some more predisposed to panic attacks than others. Panic attacks or the tendency to develop panic attacks runs in families, with many families having more than one family member that suffers from panic. Although environmental factors do have something to do with panic attacks, genetics also play a part in why people have panic attacks. Some physical problems that may cause a panic attack include high blood pressure or increased blood pressure rate. High blood pressure may cause the individual to become excitable, which can cause panic. An insufficient supply of certain minerals and vitamins has also been linked to why people have panic attacks. One such mineral is magnesium, which is important for the normal functions of our body. Thyroid problems also contribute to why people have panic attacks. If the thyroid is overactive, it releases too much of the thyroid hormone, which can lead to irregular heartbeats and increased blood pressure. Both of these problems will cause flushing, sweating and an instant sense of panic or anxiety. Regardless of what the reasons behind panic attacks, to the one experiencing them, they are frightening and can cause many problems in their lives if not taken care of as soon as possible. Unfortunately, the exact causes of panic attacks are still not fully understood, but a combination of physical and psychological factors is thought to be the root cause of the disorder. Research suggests that traumatic past experiences, genetics and neurological factors are the three biggest factors but there’s other data which suggests that panic attacks can stem from other, or a combination of other factors. Biological theories indicate that panic attacks result from neurotransmitter (chemical) imbalances in the brain. In particular, neurotransmitters dopamine, gamma-aminobutyric acid (GABA) and serotonin are associated with anxiety and panic disorders. Studies suggest that people who experience panic attacks have fewer receptors for these neurotransmitters, and that medications which increase the supply of serotonin and GABA can be effective for treating panic disorders. Scientists have conducted many studies trying to identify a link between genetics and panic attacks. Finnish scientists have discovered that there is a genetic predisposition to anxiety disorders. The research focused on genes that affect human behaviour, some of which indicated an association to specific anxiety disorders such as panic attacks and generalized anxiety disorder. According to the study, environmental factors like stressful life events can trigger panic attacks more easily in people with a genetic predisposition to the condition. Environmental theories suggest that panic attacks are caused by a person’s learning environment. Childhood issues like being overly anxious, attachment issues, abuse, trauma or neglect, may lead to anxiety problems later in life. Negative experiences beyond childhood may also trigger panic attacks. For instance, experiencing stressful life events such as the loss of a loved one, losing a job, getting married or moving home, particularly within a short time, can take its toll on your psychological well-being and may trigger a panic attack. Panic attacks could be a symptom of a medical condition. A condition known as mitral valve prolapsed is often associated panic attacks. The mitral valve prolapsed condition occurs when one of the heart valves won’t close properly, which can trigger anxiety and panic. Another medical condition that’s associated with panic attacks is hyperthyroidism. Hyperthyroidism occurs when the thyroid gland becomes over-active, which can affect the balance of certain neurotransmitter levels such as dopamine and GABA. The prolonged use of stimulants or a combination of these stimulants may also trigger symptoms of anxiety and panic attacks. The caffeine in coffee, sodas, energy drinks, packages of over-the-counter stimulants, herbal stimulants, plus cocaine, amphetamines and other stimulant drugs, may all trigger symptoms related to panic attacks. Moreover, withdrawal from medications or habitual drug use may also produce panic-related symptoms such as intense headaches, nausea, tremors, hot and cold flashes, dizziness and disorientation. Since panic is often associated with focus on potential negative outcomes in a particular situation, it doesn’t require an event of great magnitude. For instance, a panic attack can be triggered in a mother stuck in traffic while going to pick up her child from school. She could be worried and anxious about how late she is going to be, or concerned for the safety of her child. These event triggers have been linked to the amygdala gland, a gland in the brain which handles our response to fear and triggers anxiety when over-stimulated. The Bottom Line: If you suspect that you suffer from panic attacks, and then try to minimize the stress in your life and establish its causes. Get help from professionals, family members and friends. You can also perform relaxation exercises, such as deep breathing, meditation, yoga or progressive muscle relaxation. Physical exercises also offer a great way to offload stress and stimulate the brains “feel good” neurotransmitters. Having mild anxiety attacks can be very disruptive to your life, especially if you get them often. An anxiety, or panic, attack is something that thousands of people experience every day. While people do not often talk about their having experienced these attacks, they are actually quite a common occurrence for many people. Some of the symptoms of an anxiety attack are so mild that you may not be sure you are really having this type of problem or whether you are experiencing something completely unrelated. The onset of an attack can start slowly, almost unnoticeably. You may start noticing small changes to the way you feel, such as having slightly blurred vision and the inability to concentrate on what you are doing. This might be accompanied by feelings of being restless or antsy. As the attack starts to get more powerful, you may also feel a general tightness in your chest. This will not be nearly as acute as what someone feels when they are having a heart attack. Rather, it feels like someone or something is constricting your chest a bit – and you may also feel like you are having trouble breathing. A few more minutes into the attack and you notice that your heart is racing faster and faster. This may feel odd to you, especially if it happens when you were not doing any particular exercises, jogging, or even walking fast. The strange feeling that your heart is racing faster without a good reason can also make you feel worried or nervous, which can add to your condition in a vicious cycle. At this point in the attack, you start to really have trouble focusing on anything that requires balanced attention, such as driving, studying, working or taking care of children. This can be a frustrating aspect of these attacks, because nobody likes to feel that a condition like this can have so much control that it distracts them from performing their duties properly. Another common symptom is that your thoughts start racing out of control. You may have the continuous thought during the attack that you are going to have a seizure or otherwise lose control. While these fears are almost always completely unfounded for sufferers of these attacks, feeling this way can still be very scary at the time. A final symptom is the way you feel once the attack is over – exhausted. Anxiety attacks can drain the energy out of you, making you feel like you just ran a marathon or read a thick novel in a single afternoon. If three or more of these common symptoms sound familiar, you may be having the occasional mild attack. You owe it to yourself to find out how to stop them from happening, once and for all. What Should You Do After An Anxiety Attack? Whether you are used to having an anxiety attack or have just suffered from your first one, it can be a frightening ordeal. The fact that such an incidence can come on with no warning, whatsoever, is a bit unsettling. The common response to such an episode is to figure out what to do after an anxiety attack. Obviously, you want to determine what caused the attack and how you can prevent it from occurring again. The mistake many people make is trying to treat the symptoms as oppose to the core issue at hand. While it can be difficult determining exactly what the core of the attack was, you need to determine the severity of your case. If you are suffering from a mild anxiety disorder case, you do not need to panic and jump onto as many medications as possible. While therapy and medication may be necessary, there are several other things you can do after an anxiety attack to treat the problem you are dealing with. The first kind of treatment that may provide the kind of relief you need is exercise. Typically, stress plays a huge part in building up anxiety and a panic attack. Research has found that a simple 30 minute workout three to five times a week can provide the much needed anxiety relief in your life. To get the best results, try to shoot for 45 minutes to an hour of exercise a few times a week. Another common method that can help relieve any built up stress is practicing relaxation techniques. There are a number of relaxation techniques that can help you calm yourself down. Some of the things you may want to practice include mindfulness meditation, progressive muscle relaxation, controlled breathing and visualization. This can help you achieve a sense of emotional well-being. Hypnosis is the next tip for something to try out after an anxiety attack. When applying hypnosis to cognitive-behavioural therapy, it can be the perfect answer to any emotional-highs you may be on. Seeing a hypnotherapist can help you face your fears while you are in a state of deep relaxation. The final tip to take into consideration is receiving biofeedback. Biofeedback will allow you to recognize your body’s anxiety responses so you can learn how to control them properly. The ideal result will show you which relaxation techniques you can use by measuring your heart rate, breathing and muscle tension. Using this information, you can work to reduce your anxiety and live a more settle lifestyle. Treatments for Panic Attacks Among all treatments for panic attacks, natural treatment has become popular and more desirable for its’ less side effect and similar treatment result as the prescription medication. With combination treatment of Cognitive Behavioural Therapy, the result is very promising! 1. Medication – Use of herbal based ingredient to relieve stress and sense of anxiousness, such as ReloraMax and Native Remedies. 2. Psychological Treatment – CBT or Cognitive Behavioral Therapy, a way to re-program your mind reaction to the attacks, highly recommended Panic Away and The Linden Method. 3. Complementary Therapy – Massage, Shiatsu, Tui-na, Acupuncture and Aromatherapy to relax the body and mind, very helpful in relieve anxiety attacks. 4. Visualization – Use of relaxation music with sound of the ocean, river and wind to help visualize a comfort environment, need regular practice. 5. Change of Habit – Stay away from stimulant food, such as coffee, chocolate, alcohol and smoking. Sleep early and exercise regularly proves to help reduce anxiety attacks. Combination of these 5 natural treatments will give the perfect treatments for panic attacks without drugs, and if your state doesn’t necessary require medication, CBT programs with other 3 natural treatments should help you fully recover from anxiety disorder. Anxiety disorder comes from continuous sense of anxious or fear, feeding to the mind and body during the certain event occurs (That trigger is the cause of panic attacks), if such an event occurs regularly, your mind will be trained to response more fear and anxiety every time, and eventually form the response of fight of flight – Panic Attacks. Panic Away has helped many people with panic attack problems, they proved to be effective even without drugs, and they encourage without drug treatment. However, you should consult your doctor before proceed, or ask the consultant of the individual program. With the cost that comes with the traditional treatment methods, people would rather deal with panic attack naturally than shell out large amount of money on methods that are either ineffective or have side effects. People who suffer from panic attacks may not be aware of it, but aside from taking antidepressants and doing therapy sessions, there are other cures for this serious condition – natural cures that won’t really require any kind of payment, only a dose of motivation and determination. While these natural cures may seem difficult and challenging for some, they have been proven effective in overcoming panic attacks and disorders. Below are self-help tips on how to deal with panic attack naturally. Ponder on things that run inside your mind when you’re having an attack. Instead of thinking about losing control or, even worse, dying, start thinking about positive and happy thoughts, such as assuring or convincing yourself that you’ll soon get out of the situation. Never think that the panic attack will make your heart stop and will make you stop breathing, or even make you go crazy and lose control. These are common emotional symptoms that are controllable. Again, don’t think about negative things when you’re having an attack. Instead, focus on positive and calming things. You can start by thinking that panic attacks can be treated and that you’ll never die from it. Think of possible distractions. As soon as you feel the attack starts to take hold, distract yourself and refocus your mind away from the factors that can trigger or exacerbate the attack. Examples of activities that may distract you from thoughts of panic attacks include listening, singing or dancing along with your favourite song and other activities that you enjoy. Practice some breathing, muscle relaxation and visualization techniques. Use them as soon as you recognize the first few symptoms of the panic attack. These methods may sound too simple, but these are all proven effective in reducing panic attack symptoms. Sufferers who want instant relief still choose to use the traditional treatment methods than deal with panic attack naturally. Compared to traditional methods, the treatment of panic attacks using the natural cures takes time, commitment, and determination. But what’s truly amazing about these natural cures is that they not just reduce and relieve the symptoms, but they also address the root of the problem, totally eliminating future panic attack symptoms. Coping with nervousness attacks must genuinely be dealt with at an early stage as an alternative of letting it go on. When you use up hrs at a time in your safety zone, then you must learn how to deal with it now as an alternative of just drowning in worry. What are far more, panic attacks don’t just disappear very easily. They only turn to be stronger. You can use a nervousness and panic attack manual if you want to. A wonderful anxiousness and panic assault manual to relieve you is The Linden Strategy so it is greatest if you examine it out. Coping with anxiety attacks will be easy adequate if you’ve got patience and dedication. But when you do not have these traits, it may consider a really lengthy while for you to quit it. Coping with nervousness attacks is effortless enough if you require knowing how to loosen up. When you are stressed out and tense, you will get several anxieties so it helps make it hard for your panic attacks to stop. Soothing does not demand you to do it in a pricey way and it’s a great panic attacks remedy as nicely as a nervousness reliever. You ought to do the things that make you comfy. For example, if music tends to make you really feel calm then it’s finest if you use it. Or you can give by yourself a lengthy hot shower or go out for a meal with buddies. These basic anxiety relievers are powerful and when you feel relaxed, you will be ready to understand how coping with anxiety attacks really should genuinely really feel like. Men and girls have a tendency to count on their anxieties from occurring so they discover it a challenging time coping with anxiety attacks. They tension themselves with the thought of when their panic attacks may possibly occur and no matter whether they’ll be ready to deal with it. By considering about it a lot more and far more, they will feel all their fears expanding and will then have a panic assault. Educate yourself to quit expecting the worst when you’re coping with anxiety attacks. When you neglect about it and start off thinking about them with what matters like how to get your task accomplished, like what sort of operate will you be undertaking for right now or how to spend your weekend, then your panic attacks will go away. Quit expecting your anxieties and every other point that stresses you and your panic attacks will stop as well. In coping with anxiety attacks, your life-style needs to change for the greater. If you are one particular of individuals who doesn’t care about what they consume and how their physical form appears like, then you need to get rid of people habits. Individuals’ aspects add to you feeling anxious with no you noticing it. Get a diet plan rich with vegetables and fruits and get some exercising. This way, you can explore far more and your body will have its healthful dosage of nutrients and protein for you to be capable to focus on your work effectively. You’ll also feel lighter and will eradicate those mood swings that you have been getting when you were living an unhealthy life-style. Coping with nervousness attacks is easy and easy if you are patient and devoted adequate to stick to these ideas. They will not be strenuous to do and they are successful as nicely. These anxiety attack self help tips will help you overcome these chronic episodes of fear. You can, contrary to popular belief, get control over the situation on your own. Anyone who suffers from them knows an anxiety attack is terrifying and embarrassing. Despite the severity of your case, by following these 5 tips you can regain control. The truth is that panic attacks are caused by either your personality or a certain lifestyle. For instance, if you are surrounded by stress and work in a highly charged atmosphere, then no doubt you can suffer from anxiety attacks. If your personality is marked with worry, and you carry a heavy burden of responsibility, a lifestyle change may be the best choice. If you simply allocated a few hours every week to relax and have some fun – you may see some relief. b) It’s All In Your Head! This is perhaps something you wish people would quit saying to you. The statistics in the medical field agree – it’s in your head. Of course, it can be a chemical problem, an imbalanced system for instance. Most anxiety attacks are phenomena of the mind, however. So, the best anxiety attack self help advice may be to simply learn how to get control over your emotions and learn to calm your nerves despite your worries. The next tip is what you’re doing now – do the research. Learn about the causes of these attacks and what is going on in your body as they happen. Arming yourself with this information will help you prevent or control the episodes. Being on medication may not be enough to prevent all future attacks, so research. This is almost a cliché – but learning breathing exercises really physically helps your body relieve stress. If you get into a room that’s nice and quiet, you’ll discover a reprieve from stress. You’ll have time to clear your mind and just relax. Another addition to this method would be learning meditation of some sort. Exercise is one of the best anxiety self help tips available. Getting more exercise can help your body physically deal with the hormones that cause stress, and getting into shape will relieve anxiety over self-image as well. You will begin to feel better as a person, but also better about yourself if you get exercise. After a workout, just watch – you’ll feel a lot calmer. 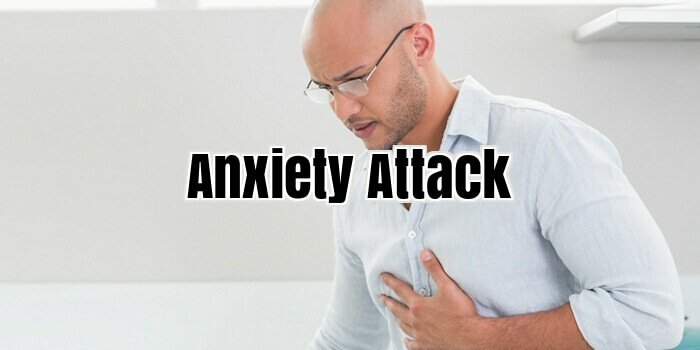 Effective stress treatment for panic attacks with no side effects refers to a class of alternative general anxiety disorder treatment and homeopathic remedies for anxiety disorders. Historically, a combination of antidepressant drugs and counselling has been used to treat people with anxiety disorders. It is estimated that more than 57 million Americans suffer from one form of generalized anxiety disorder or another each year. In their current form, many of the antidepressant drugs do not seem to provide effective stress treatment for generalized anxiety disorders, and depression. While some antidepressant drugs may provide some relief in short term, studies indicate many antidepressant drugs do not provide long-term effective stress treatment for anxiety disorders. Moreover, major depression is thought to be the third leading cause of suicide. It is estimated that 6 percent or more of the 57 million with anxiety disorders suffer from depressive disorder or major depression. It is generally believed that if generalized anxiety disorders are not treated early enough, the sufferer may slide into depression. However, the efficacy of antidepressant drugs to provide effective stress treatment for a sustainable modicum of living is debatable at best. This is especially so since antidepressant drug which are often prescribed for anxiety disorders and major depression are believed to cause serious side effects in people with anxiety panic disorders. Consequently, antidepressant medications present a dilemma. On the one hand, people with anxiety disorders need general anxiety disorder treatment such as antidepressant drugs to alleviate the anxiety attacks, and on the other hand, people with panic disorders have to worry about side effects from such antidepressants. Studies indicate that antidepressant drugs which are supposed to help people with anxiety disorders or depression often end up causing side effects that are in themselves stress factors. Many of the antidepressant drugs do not seem to provide effective stress treatment. Instead, many of them are known to cause serious side effects such as life-threatening condition called serotonin syndrome, a potentially life-threatening drug reaction that causes the body to have too much serotonin, a chemical produced by nerve cells. In addition, antidepressant drugs may cause other serious side effects such as agitation, hallucinations, coma, fast heart beat, changes in blood pressure, increased body temperature, lack of coordination, overactive reflexes, nausea, vomiting, or diarrhoea, an increase in your blood pressure, excessive dilation of your pupils, and may even cause a loss of appetite along with weight loss. All these side effects make the efficacy of antidepressant drugs debatable. However, it is incumbent on people with panic disorder, anxiety disorder or depressive depression to ask their tending medical doctors about alternative general anxiety disorder treatment with no side effects. Historically, medical doctors who prescribed the usual antidepressant drugs may not the incentive to suggest, let alone recommend alternative general anxiety disorder treatment because their contractual affiliations with medical facilities. But when asked, medical doctors have a duty to inform their patients of known available alternatives and side effects, if any at all. To avoid serious effects from antidepressant drugs, there are alternative non-drug approaches that are effective stress treatment of generalized anxiety disorders. Alternative remedies for stress, anxiety, depression and many panic disorders include regular exercise and low-fat nutritious diet to help your body fight against the effects of stress. In addition, making sure that you sleep more than six hours will help your body to relax. Another alternative for managing stress is meditation such Yoga meditation that you can practice as a form of relaxation technique. Irrespective of its hampering effects, anxiety disorders aren’t considered lethal. The anxious feeling is a natural phenomenon that occurs in response to stress and even helps to fight it out. In some cases, however, when stressful circumstances attain a level beyond the capability to fight it out, the anxiety produced take different dimensions and manifest in the form of annoying symptoms that demand treatment. They are then called as anxiety disorders. Such disorders occur commonly and so various treatment methods have been developed that helps regain normal life even after intensified anxiety attacks. To name some, medication and behavioural therapies are the major treatment options. In order to overcome the limitations faced by these methods, many natural ways to ease anxiety have been developed and are in use. Every problem has an effective solution. Finding the exact solution for a problem is one of the natural ways to ease anxiety. Most people go on only thinking about what’s going wrong in their lives instead of thinking about what can be done to set things right. Diverting your mind from the problem and focusing it on the solution can diminish the reasons that are responsible to create anxiety. Basically, anxiety or stress is a product of our emotions. Whenever a situation- good or bad- comes up, our first response is with our emotion. Hence, the best solution to stress is to deal with the troubles logically not emotionally. The process won’t let the situation affect your personal life and also help you deal with the stress effectively. There is nothing more effective than meditation to control stress or anxiety. Meditation has a great impact on the thinking process and overall mental health. Deep breathing along with meditation is more effective. The duration of meditation session may range from 5 minutes to an hour. But the practitioners of meditation can get several health benefits. Making a plan for your daily life may seem very common, but carefully organizing everything and prioritizing the important works are the best and natural ways to ease anxiety. Keep track of your presence and simultaneously try to plan your future. Most people across the world love one or the other form of music. Music has a power to rejuvenate your mood and reset your mental state. Pick the kind of music that you love most. If your anxiety is due to minor, day-to-day problems, music can help you get rid of it quickly. Undisturbed sleep, especially at the peak hours of night and maximum amount of possible rest is proposed for people affected by extreme anxiety and stress. Lack of enough sleep and rest causes shortened temper and irritability. Diverting your attention from the causal factors of anxiety may help a great deal. This is possible by focusing and doing things that pleases you. Hobby, as some people may find, is never a waste of time. Instead, it helps develop self-confidence and keep your spirits high because hobby is mostly something you are good at! The above mentioned are the commonly employed natural ways to ease anxiety. Inculcating these ways into your daily lives will not only keep anxiety disorders away from you but also other diseases. The natural treatment for panic attack takes time and patient to see result, as oppose to conventional cures for panic attacks that gives instant result in short term, but doesn’t really helps to fully recover the sufferer. Natural treatment is the answer for how to treat panic attacks effectively in the long term result.